This is one of my new favorite snacks! I can almost guarantee once you taste it you won’t be able to stop. Hits that craving we all get sometimes – something a little sweet and salty. Another great thing is that it is Gluten Free! 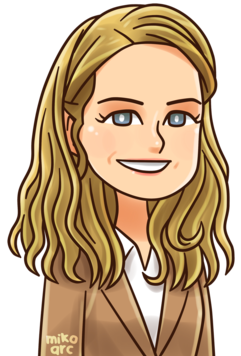 The other thing I like about this company is that one of the owners was a teacher and both are entrepreneurs. Here’s a secret to make it even yummier – Place some of the popcorn in a microwave safe bowl and zap it for 20-30 seconds and you will thank me later! At Angie’s Kettle Corn, our philosophy is to keep it simple. We also keep it natural, with only authentic ingredients and no artificial flavors or preservatives. With the perfect balance of sweetness and salt, Angie’s Classic, Caramel and Lite varieties have all the flavor you expect from an artisan treat, but none of the guilt, a combination that will keep you coming back for more. 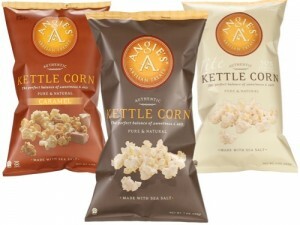 Angie’s Kettle Corn is real food, made with natural ingredients: popcorn, corn oil, cane sugar and sea salt. Our Caramel variety is kissed with natural Caramel flavoring, and is made with 6 natural ingredients. There are no artificial flavors, colors, preservatives…no artificial anything. Additionally, Angie’s Kettle Corn is made in a facility that is completely free of peanuts and tree nuts. We make Angie’s Kettle Corn with the highest quality ingredients from the finest Midwestern providers. We support local farmers, industry, and sustainable agriculture. No cholesterol, no trans-fats, no artificial flavors, no preservatives, no guilt! Angie’s Kettle Corn is delightfully flavorful, crunchy and fiber-rich. It’s a feel-good snack perfect for rewarding yourself or anyone special. All three varieties of Angie’s are allergen free, certified gluten free and certified Kosher. Furthermore, our facility is 100% free of all peanuts and tree nuts, and our equipment is not used for any products containing allergens or gluten, ever.